"The “Lake Leelanau Sunset Cottage” offers stunning sunset lake views from almost every room in the home and sits directly on the shores of picturesque South Lake Leelanau. The sprawling backyard leads to 100’ of private water frontage and a small dock perfect for launching your waterfront toys! The serene setting is perfectly set up for quiet evening away from it all watching the setting sun, enjoying bonfires, and star gazing! This ranch style cottage was renovated in the spring of 2016 including new plank flooring throughout the home and new paint in the bedrooms. The 4 bedroom, 3 bath home is equipped with a king bed in the master bedroom, a full size bed in 2 bedrooms, and two twins in the 4th bedroom. The home also includes a washer/ dryer and charcoal grill available for your use. The front of the home offers covered parking and space for a small boat trailer. The cottage sleeps a maximum of 6 guests. The Lake Leelanau Sunset cottage is located near many popular Leelanau vineyards and wineries; the Grand Traverse Loop of wineries begins just 10 minutes away. You are just a short 15 minute drive to downtown Traverse City, home to the National Cherry festival, renowned Film Festival, nightlife, and world class dining and breweries. If you are looking for charm and boutique shopping head north 10 minutes north to the quaint Village of Suttons Bay, which includes a downtown area of small shops and restaurants. 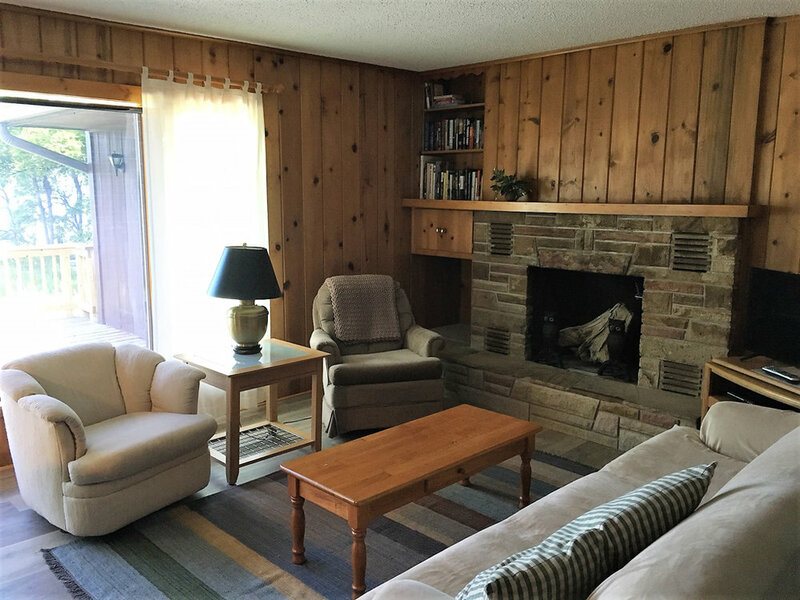 The Lake Leelanau Sunset Cottage offers a central Leelanau County location close to the Leelanau Trail (biking), and only 30 miles from Leland, Glen Arbor, and the popular Dune Climb! E-mail: rentals@oltersdorf.com or call 231-409-3050! Off Season Rates: $400/night, $100 cleaning fee, 4 day minimum.